Today we welcome Holly, who shares her tips for selecting the perfect fabric for your project. Hi! I'm Holly from bijou lovely and I'm so happy that Chris asked me to be a part of her Sewing 101 series. To me, one of the most important factors to make a sewing project successful is fabric selection. The types of fabrics you use play a huge role in making your sewing projects look great and last a long time. The best way to figure out what works and what doesn't for a certain project is obviously to experiment, but here are some guidelines to follow to get you on the right track when starting out. If you are making a bag that will get a lot of wear, you'll want to use durable fabrics that will help the bag hold its shape. Home decor fabrics work great for this purpose. Upholstery fabrics, corduroy, canvas, and of course leather (though harder to sew) will all hold up to daily use. You'll want to choose medium to heavy weight interfacing to help the bag keep its shape. 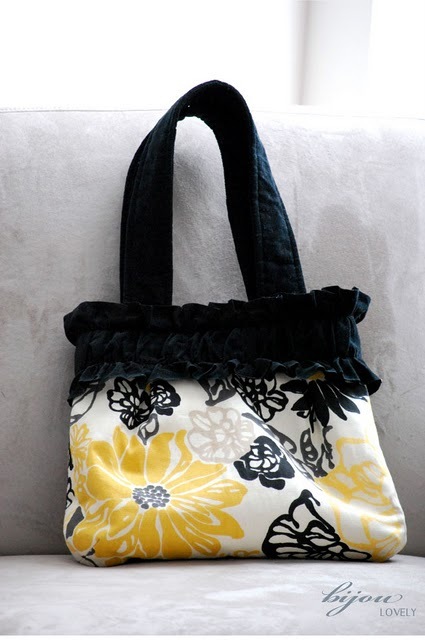 Lighter fabrics like linen or quilting weight cotton make great linings for these types of bags. For dressier clutches, you can use nicer fabrics like silk or satin, but you'll still need interfacing to so the bag isn't flimsy. I like to use a few layers of lighter weight interfacing to give it a less crinkly feel. The most obvious fabric choice for quilts and blankets is quilting cotton. This fabric comes in a ton of different prints and solids from lots of different designers. These can also be made from vintage sheets or old shirts that are in good condition. Linen and cotton voiles are also great to make heavier or lighter quilts with a nice drape to them, and flannel makes the perfect backing to a baby quilt. It's a good idea to prewash your fabrics if you're using a mix of fabric types to prevent shrinkage at different rates after they're sewn together. Clothes are definitely out of my area of expertise, but I think this largely depends on what type of garment you're making. If you're using a pattern, it will most likely recommend which types of fabrics will work best. If not, think about how much structure you want the garment to have and go from there. For example, I wouldn't recommend using knits for a button down shirt or a structured jacket. This is where the "home decor" in home decor weight fabric comes from! 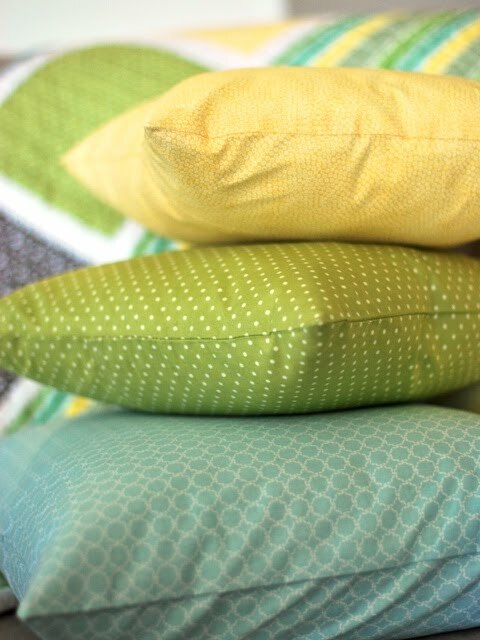 It goes without saying that these fabrics are great for throw pillows, recovering furniture, curtains, and any other fabric items you want to make for your home. Of course you can always use lighter weight fabrics, but I wouldn't recommend recovering your couch with quilting cotton. So now you have some guidelines for fabric selection for a few different projects. Of course, these are just suggestions and are meant to be broken! The easiest way to pick out fabrics is just to look around a store and pick them up to figure out if they'll work or not. If you find a fabric that you think will be perfect for your next project, go for it! Thanks for letting me share my suggestions, hopefully they help some of you who are just starting out! Feel free to stop by bijou lovely to read more about the projects I've been working on lately. Thank you Holly! Aren't her fabric choices yummy? 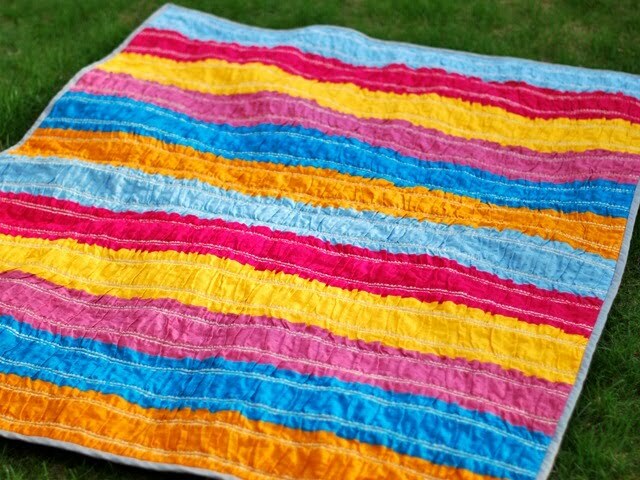 Her ruffle quilt is one of my all-time favorites. Check out Holly's blog. Bijou Lovely is the appropriate name for sure! Thanks so much! I just found your site last night and became a follower! I love your work, especially the sewing 101 info. I'm not the best at it (I took the class in Jr. High), and it's nice to go back to basics. Thanks so much! PS - Thanks for putting the little link to the Church site, I'm LDS too and it's nice to know there are more people like me out there. Thanks! I love Holly's blog! Great tips about fabrics. I just love that bag and quilt! I pretend I know how to sew and pick fabrics all the time when really I don't. This was so educational and fun, too. I learned so much!